Discussion in 'Computer Science & Culture' started by darksidZz, May 9, 2017. You can see why you'd be unable to fully insert any HDMI cable because it would press up against the metal above the slot. What can be done? You'd have to cut that metal off to really get needed clearance there. Anyways I am using a DVI to HDMI cable but wanted to ask if you know of any HDMI cables with longer heads or possibly no jacket? 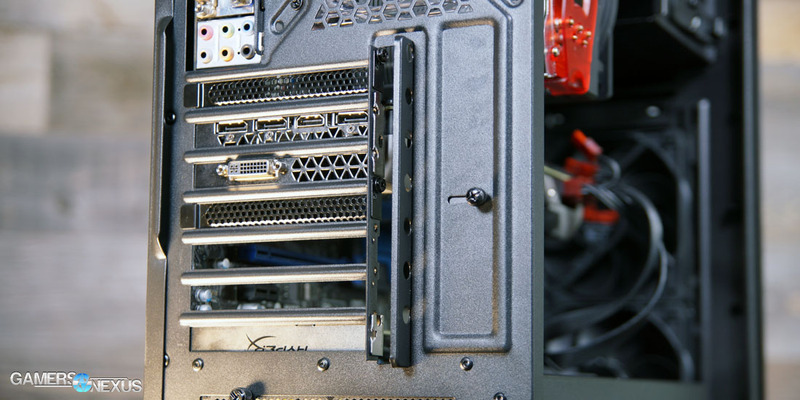 Not sure how many cases/video cards that you have worked with, but the design of the expansion slots looks to be pretty much adhering to the industry standard. At any rate, you stated that you are using a DVI cable, so it does not seem to be an issue that you will need to contend with. As far as the FPV-HDMI cable you linked to - that HDMI connector looks as though it could easily short out or "press up against the metal above the slot" that seemed to perturb you in the first place!